Today when I went to check the air pressure in my car tires. 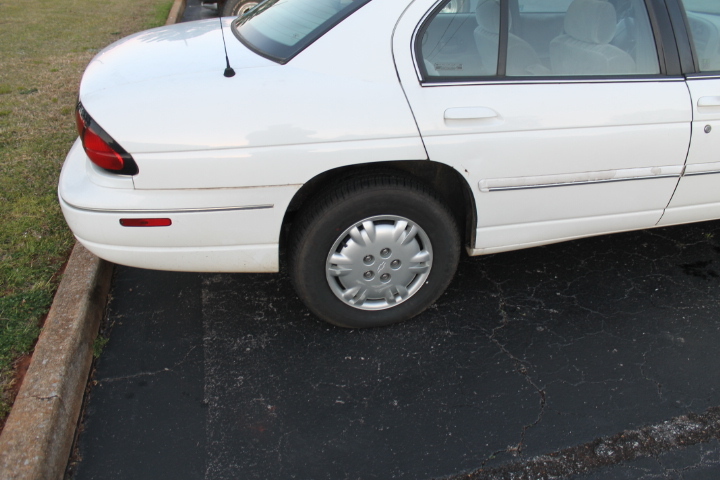 I noticed my right rear tire was super low! Then I looked on the tire and saw this! 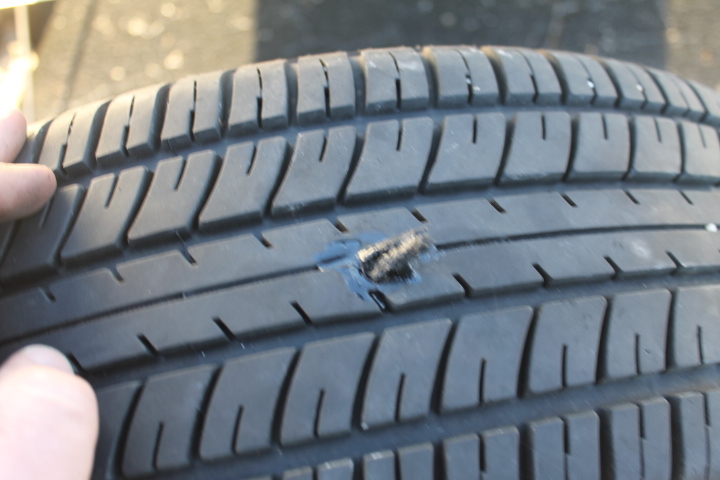 A nail was stuck inside the tire! Yes, it was time to remove the nail and patch the hole. 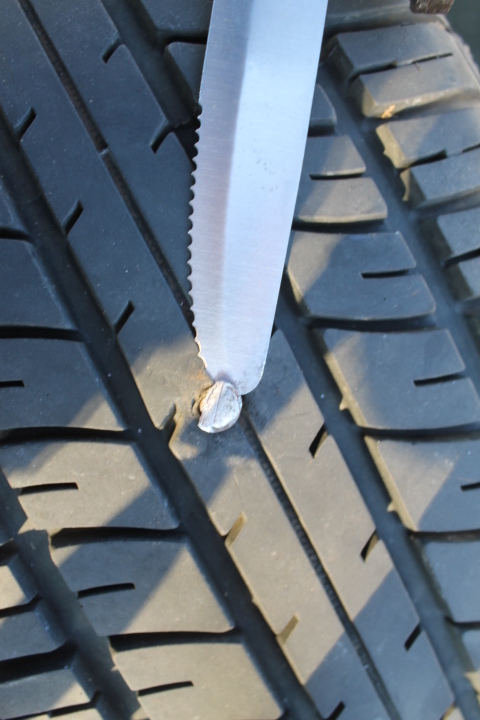 If you leave the nail inside a tire for a long time it will cause the hole to get bigger. 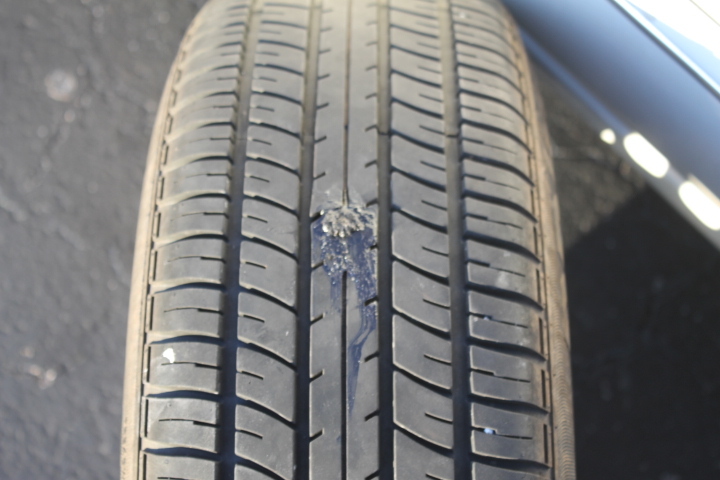 This means it will cost you more as you must get a brand new tire. 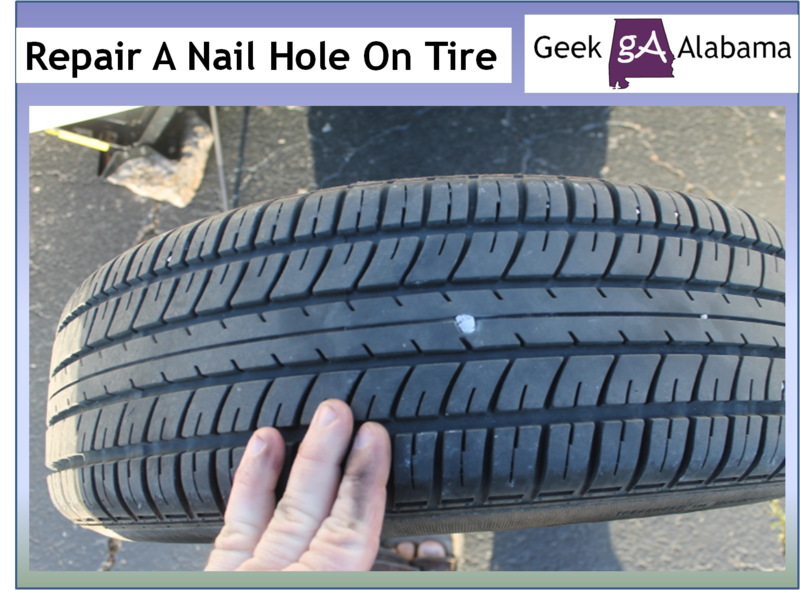 The sooner you get the nail out of the tire, the better! 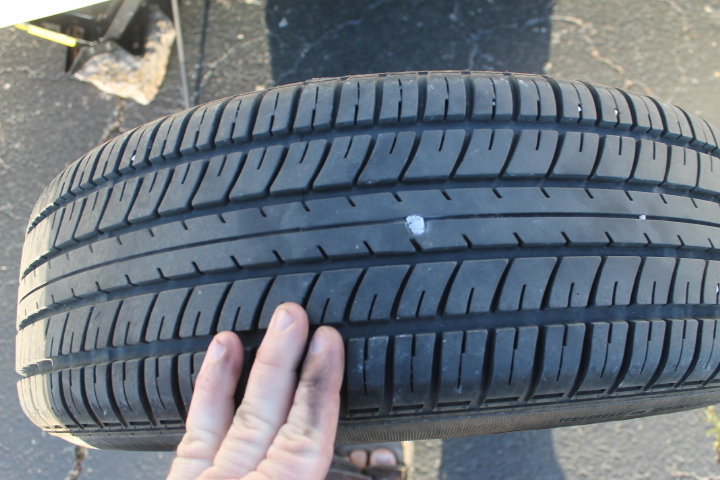 If the nail is on or near the sidewall, you have to replace the tire. Since this nail was in the middle, I could repair it! 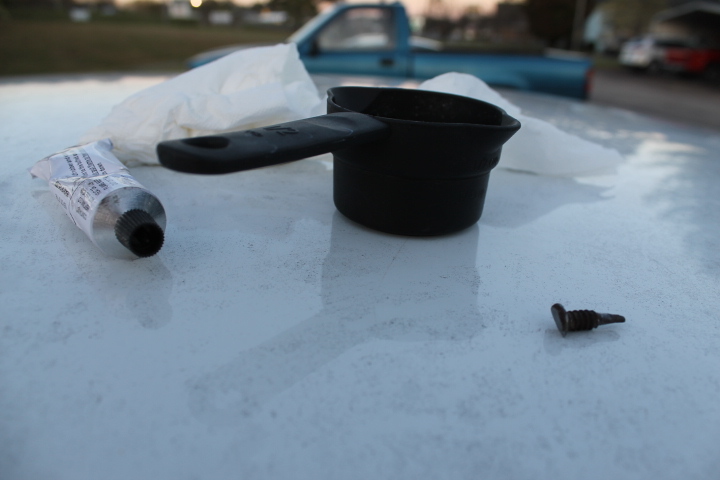 So I went down to the nearby auto care shop and got a tire plug kit and some rubber cement for $10. First, I took the tire off of the car so it was easier to work with. Use the tire plug kit and follow directions. I had the repair strip through the needle eye and ready to go before I removed the nail. Do this so you will lose less air inside the tire. Use the knife and hand tools and remove the nail. 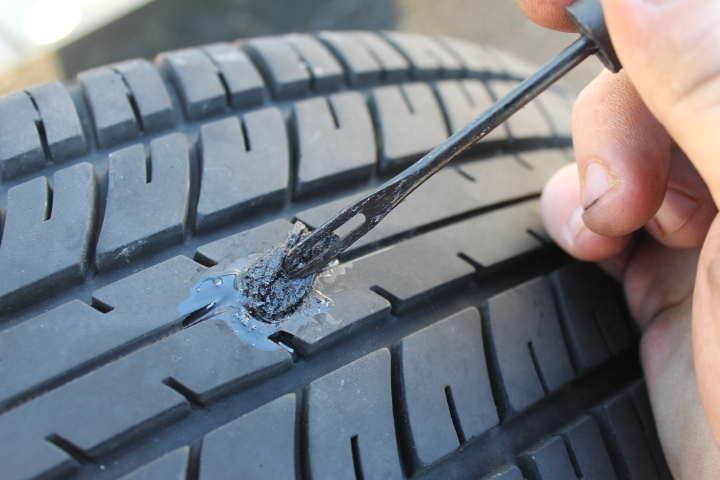 Use the probe and put inside the puncture hole to clean and to make sure the repair will work. Apply a few drops of rubber cement on top of the hole, then insert the plug. Leave around 1/4 inch sticking out. 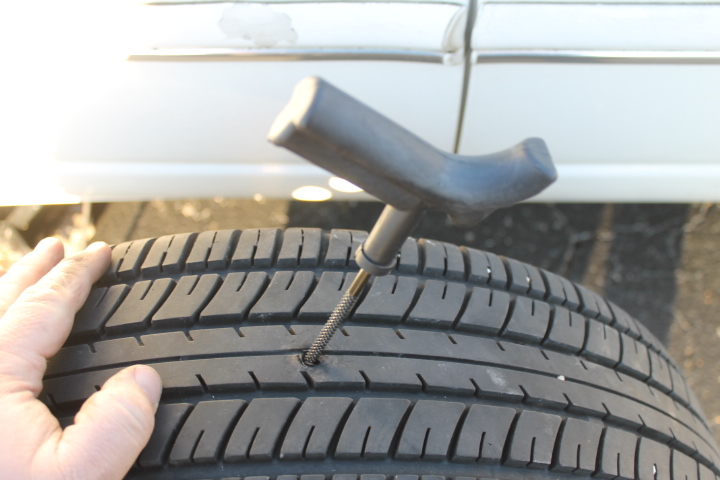 Use a knife to remove any tire plug that is sticking out. Add some rubber cement around the outside of the plug. 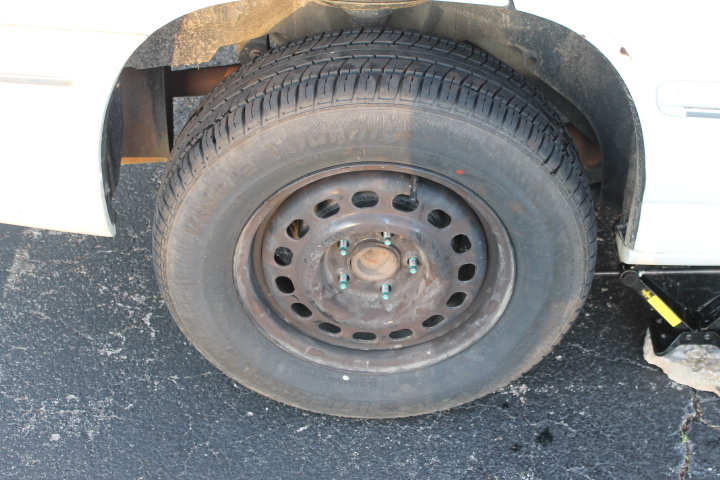 Let the tire sit for around 30 minutes so the plug can cure with the tire. Use some water and pour over the patched hole. Check to see if you see any air bubbles, this means air is still leaking! 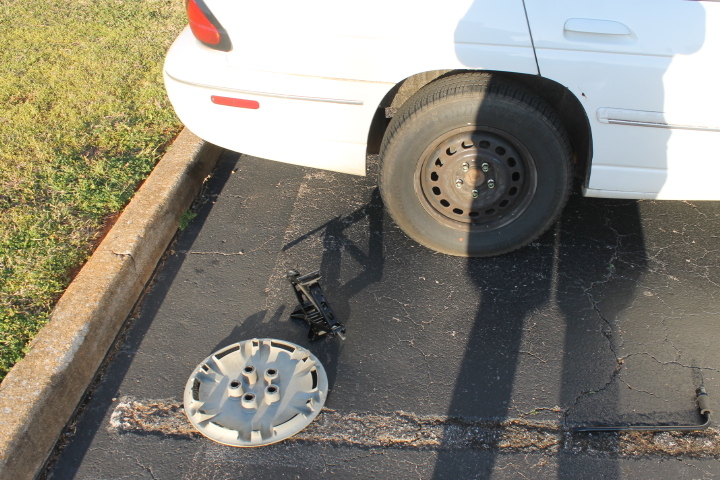 Put the tire back on the car, then I drove across the street to put air in it! After air was put in, I drove around for about 5 minutes and checked the air pressure again, no air loss! 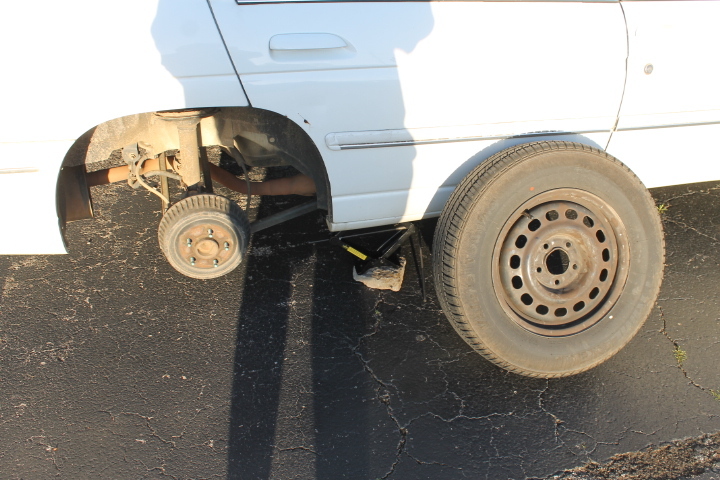 The car will sit overnight so the tire plug can cure for good! For $10, I saved money and time, and the repair only took around an hour! The nail was small, and I am glad it’s gone now! Good News Fridays: CNN Crossfire Coming Back?